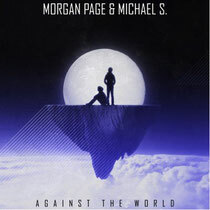 US producer/DJ and two-time Grammy Nominee Morgan Page has released his new single ‘Against The World’ (featuring Michael S) this via Beatport and November 19 via all other DSPs. The track comes out just in time for the November leg of the Morgan Page Presents 3D tour. Since October, the tour brings Page to over 50+ US and Canadian cities and features a revolving roster of handpicked developing talent from around the world. Special guests for the remaining dates are Beltek and Topher Jones.Morgan has incorporated a new 3D interactive element originally created for Michael Jackson's "This Is It" that was revealed for the first time on this tour. These interactive shows are paving the way to a whole new kind of entertainment where stunning immersive environments of 3D light and colour literally envelope Morgan and his fans in a sensory experience. Check the track out below.